Two years ago, I started this beauty blog to fill up my time. I didn't expect this blog became part of my daily life. Even when I don't update my blog, I constantly drafting, replying emails, checking out the info of products I want to blog about... There's always something to do behind the blog. This blogging journey had given me bitter & sweet memories. And today I'm going to share some of it with you. Sometimes PR agencies don't take the time to check if the product they are sending suits the blogger or not. I don't blame them because they probably have a lot of other things to deal with and dealing with bloggers is probably very small part of their work. But on my side, I really don't know what to do with the product. I feel bad not reviewing the products, but I just don't want to try it. (PR agencies, if you are reading this, I do appreciate it if you send me an email first before sending the products to me). I came across very few bad brand representatives, it gives a bad reputation to the brand and sometimes it affects my relationship with the brand. This doesn't happen all the time, but when it does, it's really a big turn off. Her: Because you're a blogger, we will give you 50% off from Set A or 30% off from Set B. Me: So you mean I have to pay for the products and then review it? Her: Yes, if you don't blog about the products then it's full price. That is just one small part of our conversation. I don't know she got smacked on her head or she got mistaken her position as sales manager? Never treat blogger as your end user. Blog is just a medium for you to communicate with your end users. If you're wondering what brand that is... It's an unknown brand that I can't even remember the name on top of my head! Just because I've put up my face on the internet, I'm subject to criticism everyday. People make fun of my lousy makeup skills. They call me ugly and undeserved to be a beauty blogger. They make fun of my bad skin, saying that I have pores as large as planet Earth. Hellooooo..... I did mention on my skin profile, in case you missed it, it's on the right bar of my blog. Please don't be Captain Obvious. Sometimes when I have perfect skin with perfect makeup on, they make fun of my language, picking up my grammar and spelling mistakes. Let's get things clear.... I don't run a blog telling people how to be perfect. I'm running a blog to share my experiences on how beauty products work. I've made a lot of nice friends from blogging, some are bloggers and some of them are from beauty brands and PR. They're a bunch of really nice people that make up a small network of Malaysian beauty bloggers. Sometimes when I need help (online and offiline), they're more than happy to help me out. And whenever I attend event, I get so happy seeing familiar faces. It makes me feel like I'm hanging out with friends, rather than attending event for work. I'm really grateful to meet these genuine people. If I don't blog, our path probably won't cross and I probably don't know that there are still nice people out there. These are just some of the things I learn throughout my blogging journey. I believe there are still a lot of things for me to learn in the future, as you know everything related to the internet changes overtime. This is why I believe that blogging on your favorite topic is a way to constantly educate yourself. Whenever I receive products from the brand that I'm using on a daily basis, it feels like striking a lottery. I helps me save some money to pay my bills. Times like these I'll be super happy to write the product review because I'm already familiar with the product. Once awhile, I receive really expensive products that I never thought I could own. I can't even afford to buy some of it, so it is a pleasant treat for me. And I confess that I save some of the very expensive products for my mom. After trying it a few times, I will pass it on to my mom. I feel that she deserves it more than I do. After writing so much, I realized this post actually serves no purpose. I hope I don't sound naggy or seen as a drama queen after this. I just want to share some of my sweet and bitter moments from my blogging experience. Are you a beauty blogger yourself? Do you share the same sweet and bitter moments too? I like this type of post! More interaction with readers I guess? So that we can know more about you hehe, so please don't say that this post serves no purpose because it does! Huh? PR sending products without any prior email or notice? This is really weird! And the conversation between you and the PR made me laughed! What a ridiculous collaboration haha! I love reading your blog so much! I have been following you even before you started this blog. Please don't let any useless criticism to bring you down because for every one hater, you have like gazillion people who are here to support you ^^You have educate so much on beauty products! Hi Jerine! This is among the post that I love from your blog! 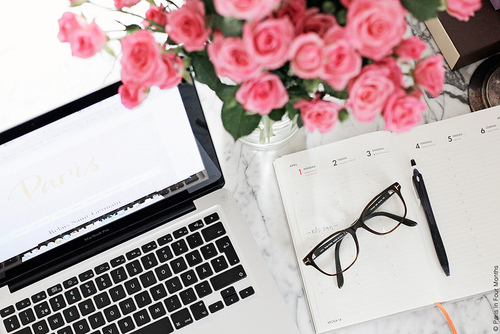 As a new beauty blogger myself, I found that I always come to Million Dollar Beauty to read not only your beauty reviews, but your writings on the experience as a beauty blogger and your tips on beauty blogging. In fact, I am always eager to see updates on topics like this from you. Since I am new, the only bad things I ever encountered was overdrying of my skin while testing one brand and a company whose T&C of reviewing (and asking me to sign a contract, no other incentives than the products for review) that sounds like a brand ambassador's job. Oh ya, I sometimes received products without being informed earlier, resulting in the parcel arriving at my old rumah sewa and previous office (which is a hassle since I'm no longer residing/working there). As for the good things, a lot! But what I cherish the most is the good relationship between me and other beauty bloggers, they always made me feel welcomed and loved regardless of age and background. Love the blog post:) I'm planning to start my blog soon. This really helps me to see what's out there in the beauty community, thanks.